The Gorilla is a primate. They are extremely closely related to the DNA profile of humans. They don’t climb trees or swing in them as people think. They are very large and too heavy to do so. There are many species and they may be up to 480 pounds and 5 feet tall. The males are much larger than the females. 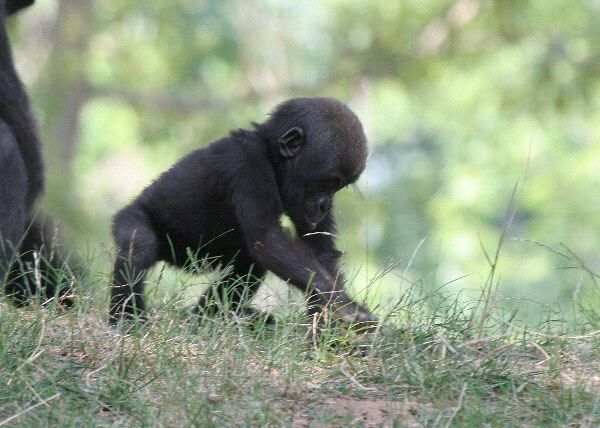 The Gorilla is believed to be very intelligent and they live in small troops with a dominant male. They create very deal social bonds that in many ways are similar to humans. They take very good care of their young and hold them like humans hold infants.